Harper Houf Peterson Righellis Inc. has been a longtime sponsor of the Ronald McDonald House Charities of Oregon and Southwest Washington (RMHC). 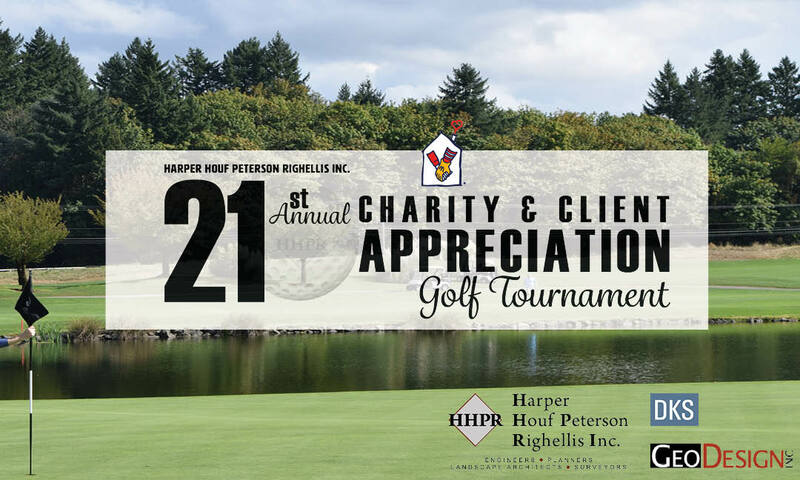 For more than two decades, HHPR has used its annual Charity & Client Appreciation Golf Tournament to support RMHC, raising over $190,000 and leveraging its own connections to expand support for the charity. The tournament is one of RMHC’s longest-running and most successful third-party fundraisers, and relies entirely on HHPR staff for its planning and operation. The firm further supports RMHC through in-kind donations, and discounted services.